My awesome little brother just sent me a birthday gift of nail polish! Normally I would not think he’d be great at selecting beauty products, but I suspect he’s researched my blog and concluded that I don’t have enough of Ciaté (true! I only have four). They stacked them, so I don’t have to. Ciaté’s Mini Mani Month is the ultimate holiday beauty haul, packed with 17 mini paint pot polishes, three mini nail treatments to pamper nails for longer lasting mani’s, and two decorative nail toppers to put you in the party mood! You’ll also find our mini Crystal Nail file plus a full size Paint Pot in an EXCLUSIVE SHADE. Shape, treat, paint and create endless nail looks – this mani-filled month is our favourite time of the year! Nail. Polish. Overload! And there’s zero overlap with the three Ciatés I already have. Ideally, since this set is packaged as an Advent calendar, I’d like to open one polish a day and swatch it for the blog. That seems ambitious, however, so I think I will swatch in advance and post the week’s polishes on the weekends, instead. I can’t wait to try all the different shades and I love that it also comes with a mini crystal nail file—I can never get enough of those! Plus the full-sized polish looks like a sparkly red! Yaaaaas. 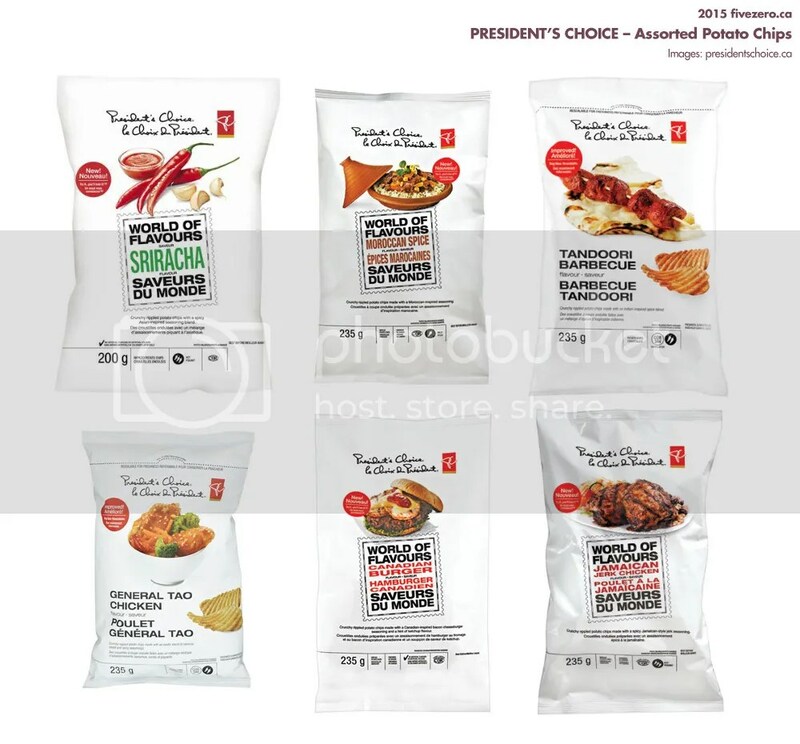 This is an awesome store-brand from Loblaw in Canada. Some of their stuff is better than the name-brand products (and can be pricier!). I haven’t tried all of these flavors—I guess they’re not all in stock at my local store—but I want to! Lay’s Do Us a Flavour has nothin’ on PC! Little brother zero did real good! That would have been so great if you could do a swatch per day, but it is ambitious, looking forward to those weekend posts though! Did you ever try the Lays Kettle Cooked Tzatziki chips?! They were one of the finalists for Do Us A Flavour, last year during the summer! They were SOOO good! I hope you had your birthday recently then, if it is so, first of all, Happy Birthday! And, what a great birthday gift for a nail polish lover like you and a great selection from your bro too. Perfect and so special as Ciate release this kind of collection exclusively during Christmas time. Great post. What a great gift- he did good! Cant wait to see the swatches! What an amazing gift, very well done! 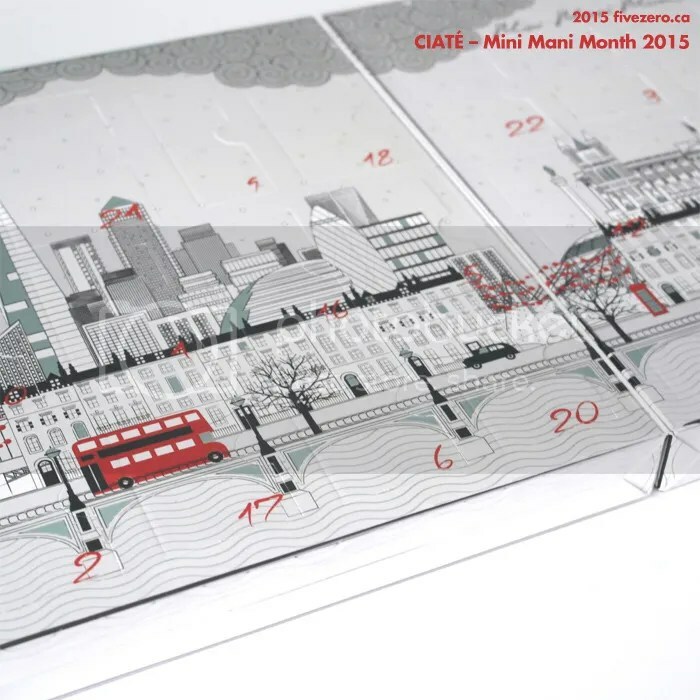 love the look of the calender with the great london theme. can’t wait to see all these swatches.